Today, iOS users are looking for different types of recording solutions, record a live phone call, Audio in Meeting/Conference or Movie theater. Some were recording is legal activity but some places and private call not a legal by apple for the users’ privacy and Terms & Conditions. Although we have Good quality recording apps for incoming or Outgoing live call. Using this app, we can record a phone call on iPhone XR, XS, XS Max, X,8,8 Plus,7,7 Plus,6S,6, SE. Not released yet officially, like the Android platform. But we have the best apps for record call on iPhone, iPad. Always beware of serious problems, before using any third-party apps. It’s hence that apple not allows saving this type of the media file on Apple Server (iCloud). So the Developer keeps your conversation on a private server, Pro service is always battered then free, Get more security at purchase value. 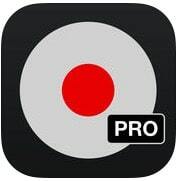 So first I recommending TapeACall pro app for all iOS users, who need best recorder apps in 2019. This app supported most of the language and available in your country app store. Pro features are, Record all incoming call, Outgoing Call, No limitations on recording time, Number of recordings. Make a copy of your audio file, share on Facebook, Twitter or SMS and Save on cloud (Dropbox, Evernote, Google Drive) then Access on PC via Email or Cloud web, Great Customer Service. How is the app work on iOS? Open this app before you receive a call. And tap on the Record button, the app will automatically dial number to developers recording line, at the same time tap on Marge button on the call screen. Now you joined three calls at once included this app’s recording line. Are you dial a call? Press the recording button on the app, App calls recording line and start as soon as possible for record call while you start a call from the Phone app. Get free credit for new users registration, Record telephone calls (National or International) from your iPhone and Other compatible models. Keep good internet connection (WiFi, 3G or 4G) to make the connection to App developer’s line. 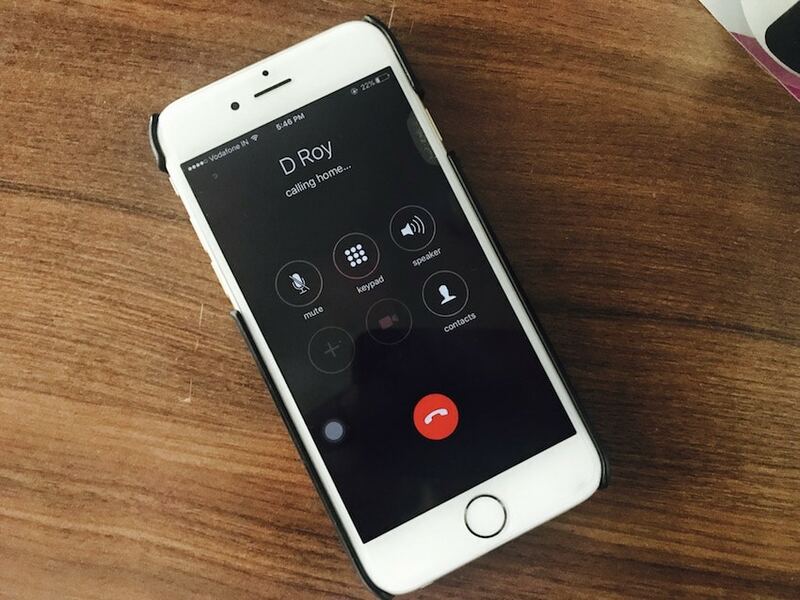 The recorded call will save only your iPhone, not on the third-party server. Recorded voice playable on your iPhone, Share and send via Email. Transfer to PC using iTunes. Recording functionality is the same for the both incoming and outgoing call. For the outgoing call, Make a call from app dealer, and it will be recorded. 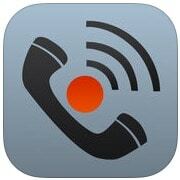 For incoming call: Accept incoming call, Open this app on iPhone and tap on the record button. The app will call your phone, Click on Hold & Accept and Merge the call. All recorded call will be the list out on the Recording tab. Test this app for experiments and get free credit. This app is compatible with iOS 6.0 or later and Buy more credit for In-App Purchases. Top best-rated Call recording apps for iPhone, Easily record any length call within North America and UK. The rated best app is constantly improving features globally. 20 minuted free call recording then purchase more credit in-app-purchase. How to record? Sign-Up with simple Signup, Enter mobile number, six digits numeric code and Email. And start recording both inbound and outbound call. Save to Cloud and Share with social app or messenger. Apps supporting push notification. This App is compatible with iOS 10.0 or later. Terms & Condition: Before use above listed iPhone call recording, make sure about record call is legal in your country. 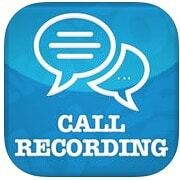 Okay, talk with us on comment for any suggestion about Other Call recording apps for iPhone.